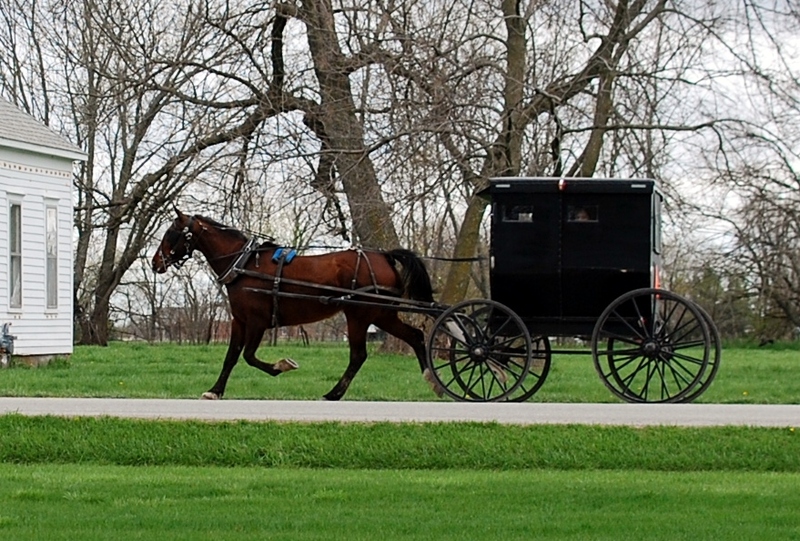 Its not Pennsylvania, but we live near a quaint little Amish community in Jamesport, MO. 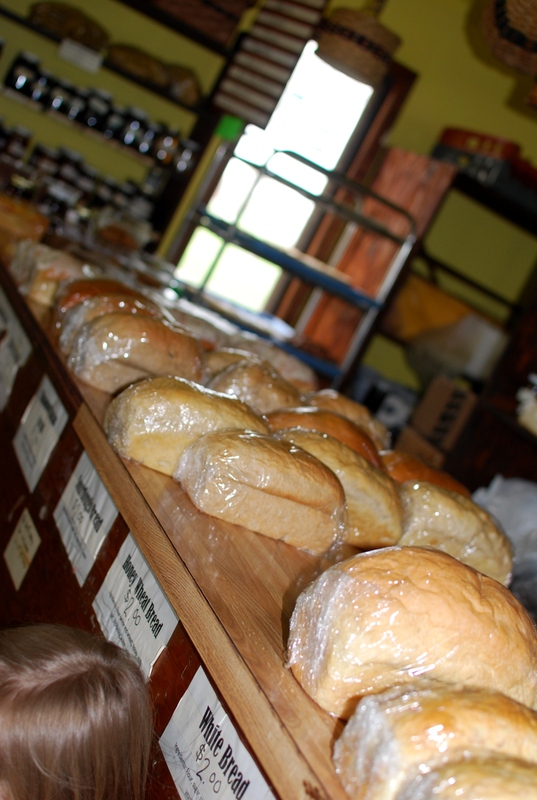 We generally go a couple of times each year and stop by the bakery more often than that ;-). I love the greenhouses, Brett enjoys catching glimpses of men farming by hand and Anna likes the horses. 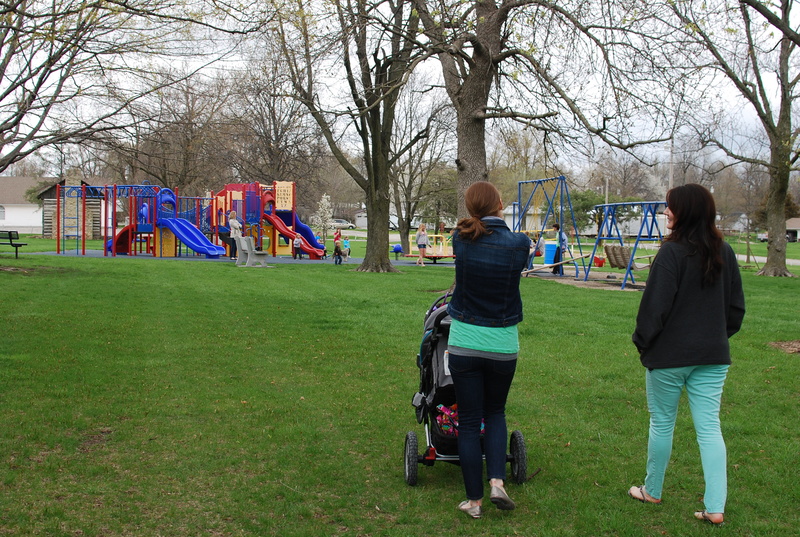 Everybody likes the park! I grew up just 10 minutes away, so we’ve had time to explore most of the businesses and pick our favorites. And this is hands down our favorite! Anna’s Bakery makes fresh doughnuts every morning, and sometimes in the afternoon on busy tourist days. You’ve got to get there early to get one, but if you miss them everything else is delicious too. We went after our lunch this time, so we had sugar cookies right out of the oven. The. best. cookies. Ever. Doesn’t it just make you hungry 🙂 This store is one of few actually owned by an Amish family. And speaking of hungry, there are two restaurants we love. 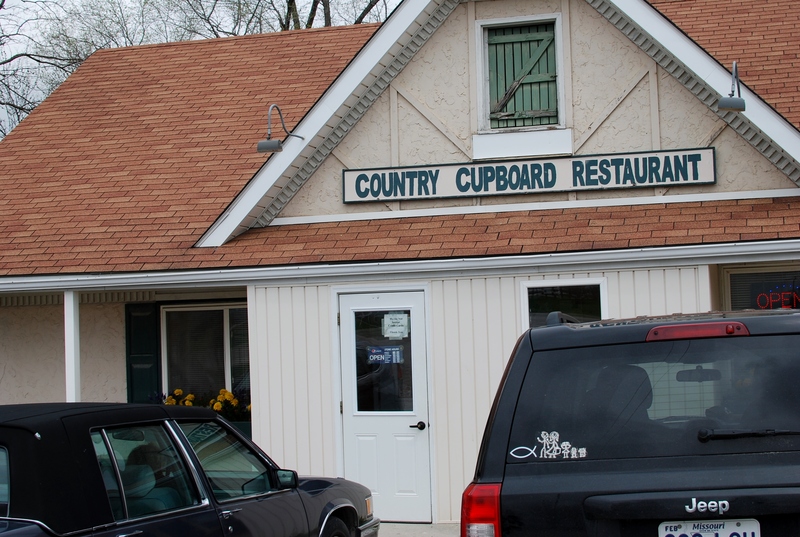 The first is the Country Cupboard and its owned by my childhood neighbors! 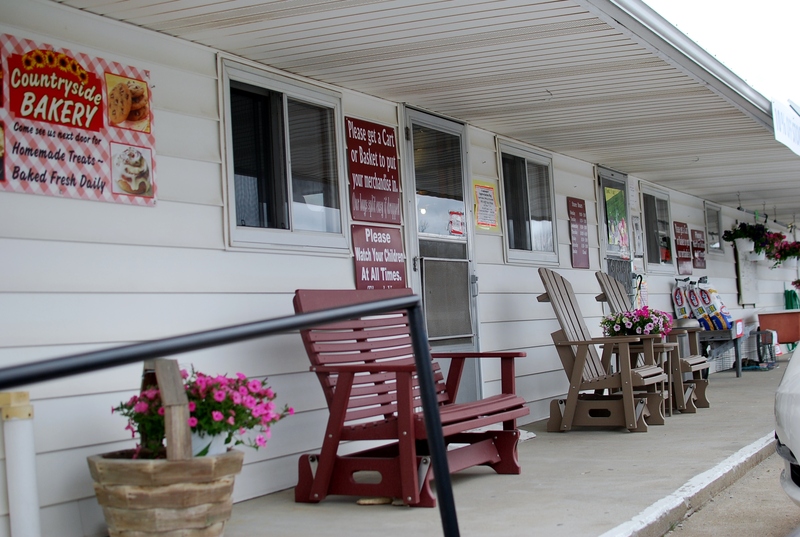 It has country charm and country-sized portions! The other restaurant we like is the Dutch Pantry. 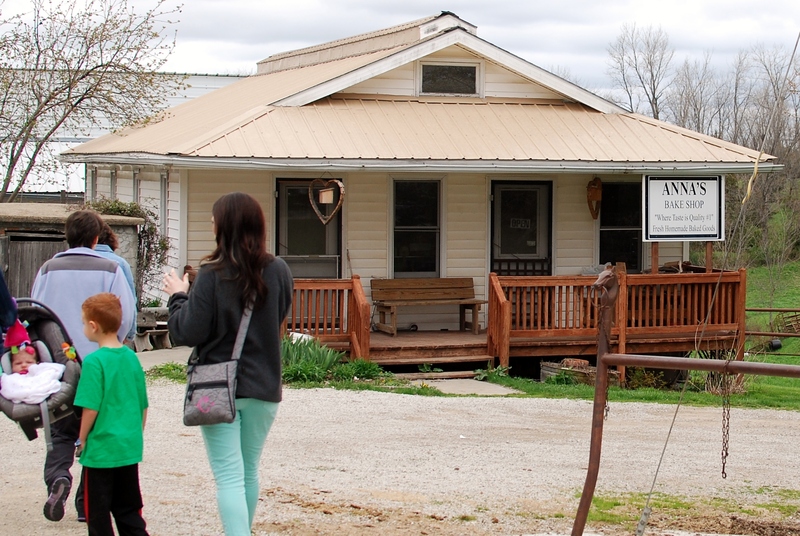 Its owned by Mennonites and has lots of great home cooked food, homemade ice cream, and PIE!! 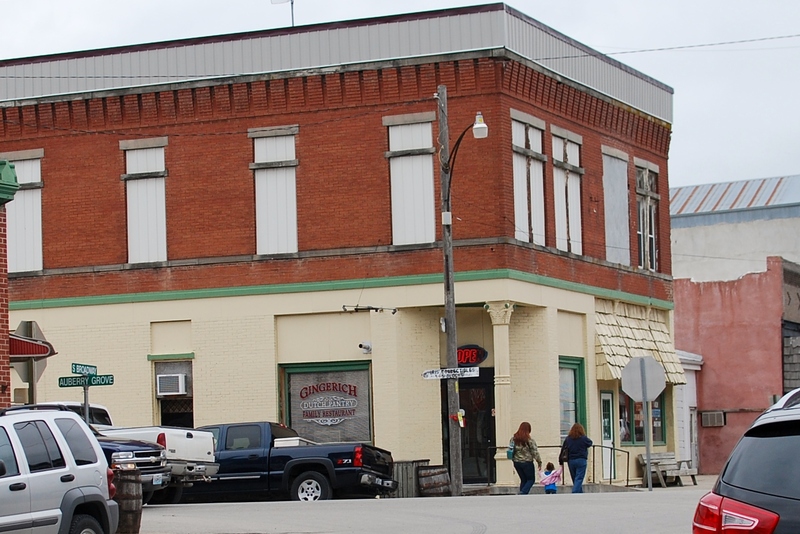 The Dutch Pantry is on the square, which makes for convenient shopping of the stores on the main street. There are lots of antique shops and tourist-y stores. Its a nice place to browse if you’ve got time and no young children! A mile or so outside of town is the H&M bulk food and grocery store. I like to get my baking supplies here. I buy honey in gallon containers, yeast in one pound packages and jar lids for canning. They’ve also got mixes, many sprinkles, a whole aisle of candy, and some Amish-type foods like beet-pickled eggs. This store is grouped with a few others, Countryside Bakery behind and the Fabric Barn across the parking lot. 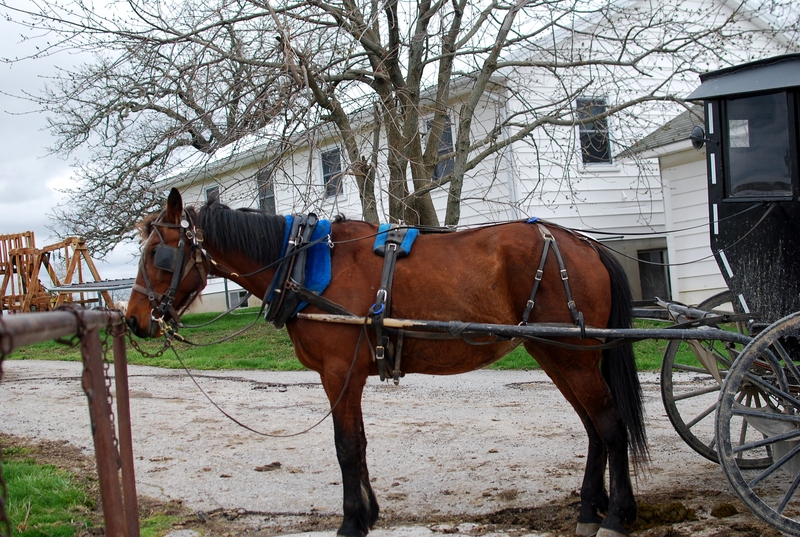 It also has hitching posts for the horse and buggies that come shopping. 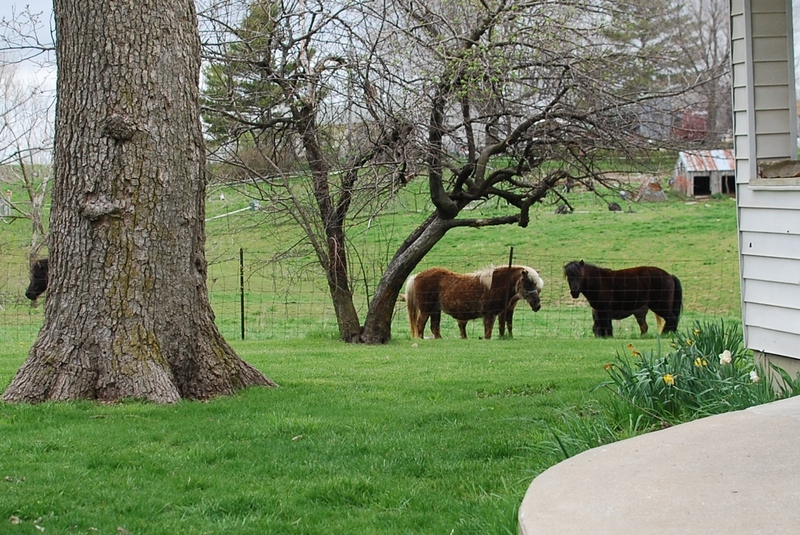 You’ll also see other animals as you drive about, like these ponies, plus the more usual cows, sheep, hogs, etc. And of course there are the buggies. Buggies are a pretty normal sight, but this? This was a first for us. I really have no clue. The driver was sitting inside that… shed. With a pony and a gas can on the back. And being pulled by four horses, which you generally don’t see on the streets in town. Graber Greenhouse is usually the reason for our trip. 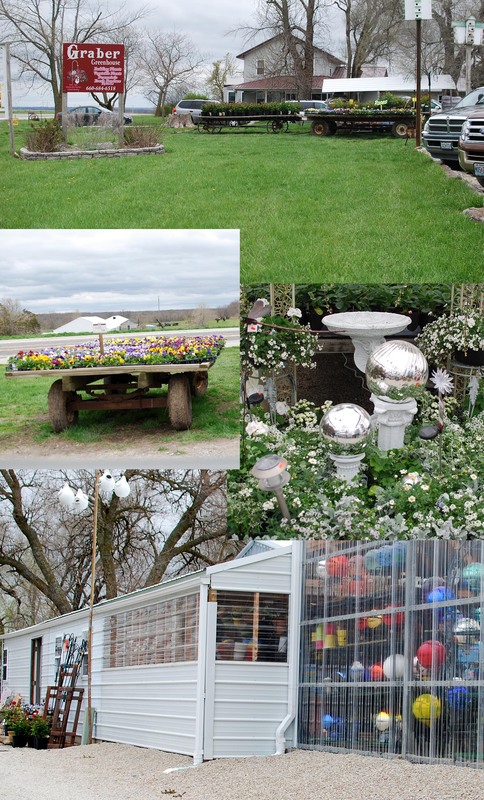 They have a HUGE greenhouse and sell stuff I’ve not been able to find elsewhere. This year I bought the makings of a fairy garden to fit inside a bird house that decorates my dinning room. In the fall they sell THE BEST apple cider. This is the park, which is other family members’ reason for going! 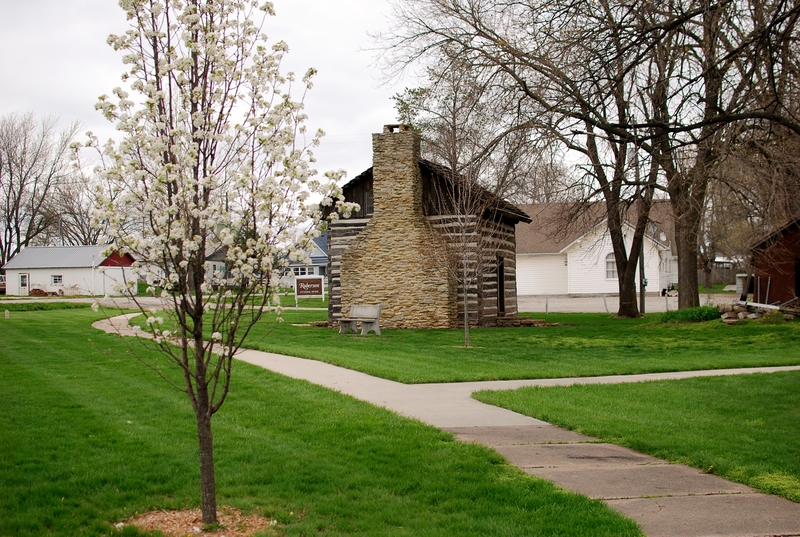 Its a very nice one, especially as small towns go and has a restored log cabin on the grounds. But the cabin has no slides, so you may not be interested ;-). 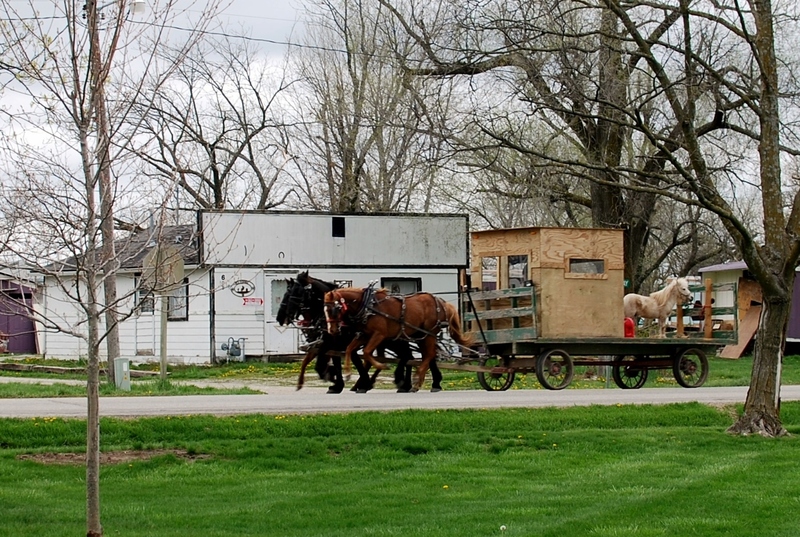 Its also fun to see the homes and farms that belong to the Amish community. 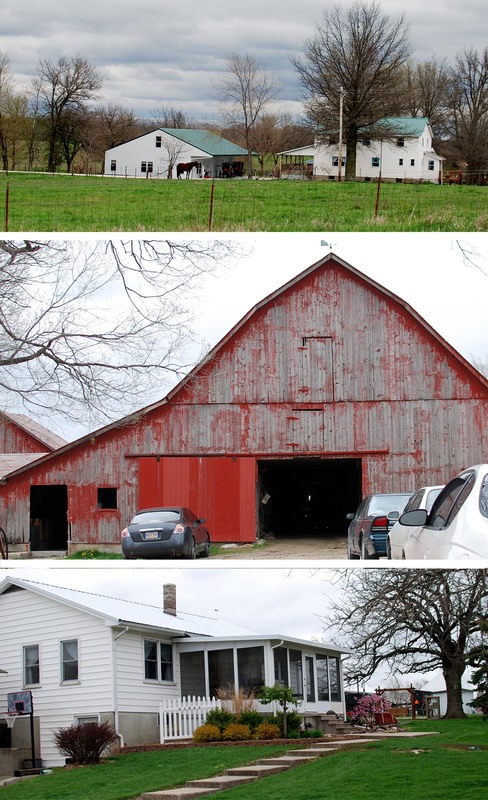 Look close at the top and bottom photo and you’ll notice the lack of electric or phone lines going into the homes and the addition of hitching posts and buggies. 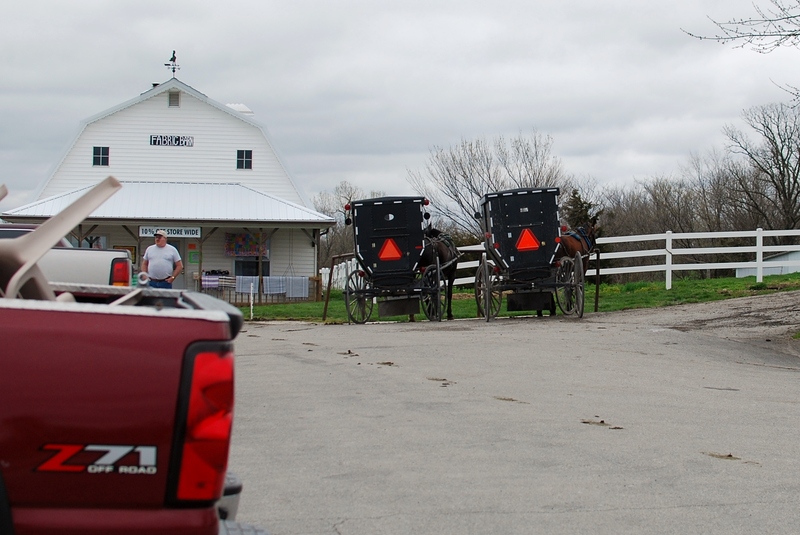 If you can ignore all the cars, its a bit like visiting a farm 100 years ago! ROFL! My kids must be related to you. 😉 We go to the zoo and the highlight is watching a lawn mower. We go to the circus and they love holding their umbrellas as we dash inside. 7-Up cans are so very memorable!